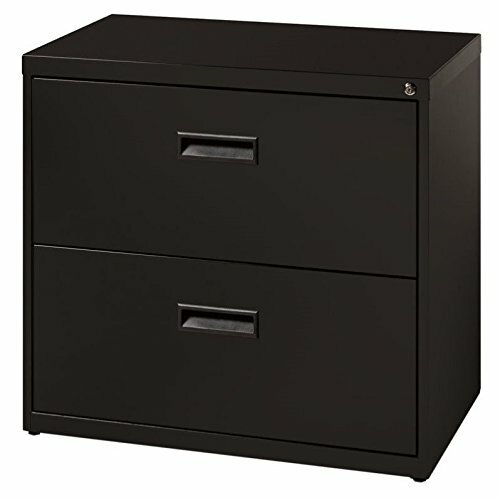 30" Wide 2-Drawer SOHO Lateral File, Black. Sized perfectly for a small office or home office. Ideal for personal work or where moderate retrieval is required. Interlock allows only one drawer to open at a time to help guard against tipping. Hang rails included to file letter size hanging files side-to-side. View More In File Cabinets. If you have any questions about this product by Hirsh Industries, contact us by completing and submitting the form below. If you are looking for a specif part number, please include it with your message.